Miss Kitty’s biggest adventure would be her travels that brought her to our home. She followed our neighbor’s cat home one day, however, they did not wish to have another cat. She stayed around and when my boys went out to play, Miss Kitty spied them and came running. The boys were so excited that Miss Kitty wanted to play with them and of course, the question popped out. “Can we keep her?” I explained we needed to check around to make sure she didn’t belong to anyone before we kept her. The next day we checked with the neighbors and Miss Kitty became a part of our family. Now she is embarking on her greatest adventure as being part of our family. She has been wonderful with our boys. She also keeps us entertained and loves to be snuggled. Occasionally she still wants to venture outside. That is understandable since she was a stray. We are slowly allowing her take an adventure out and about and she hasn’t darted off yet. 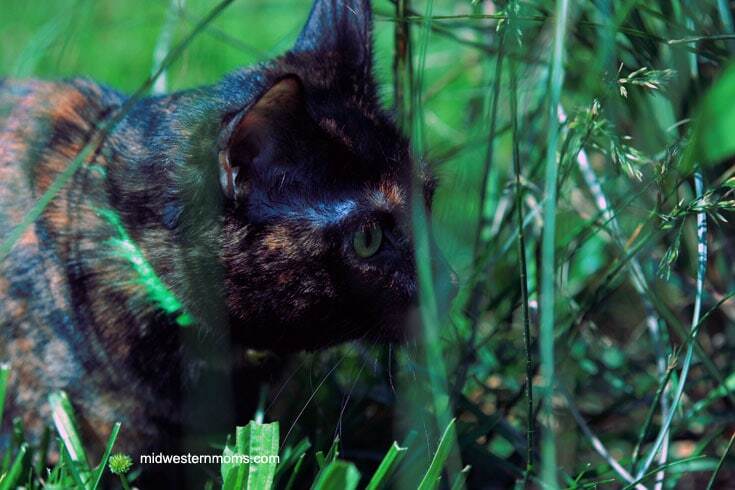 She enjoys stalking and hunting in the tall decorative grass in our backyard. I have seriously thought about getting her a kitty harness so we can go outside without the fear of losing her and taking her for walks. 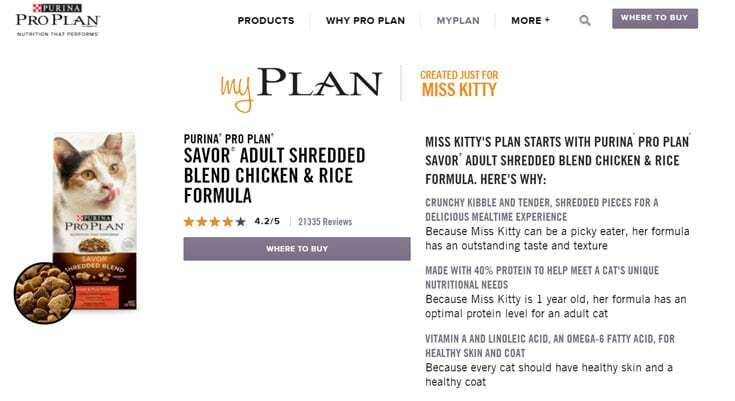 The myPlan tool recommended that we get her Purina Pro Plan Savor Adult Shredded Blend Chicken & Rice Cat Food and that is what we got for her. As you can see, the Purina ProPlan Cat Food passed Miss Kitty’s Test. She LOVES it! The nutrition is backed by over 400 scientist – switch includes nutritionists, behaviorists, and veterinarians. The cat food is proudly manufactured in Purina-owned US Facilities!!!! 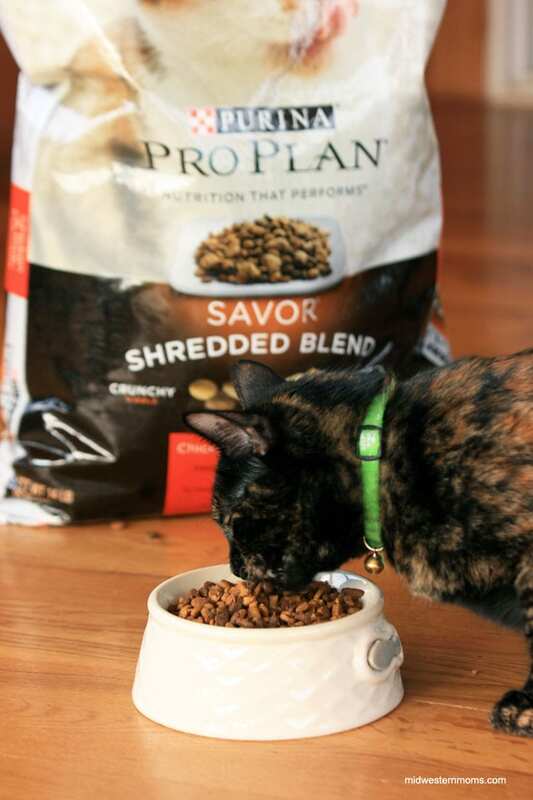 Want to get Purina’s ProPlan for your cat? Use the myPlan tool and find out what is best for your cat. You will also receive a $5 coupon!!! 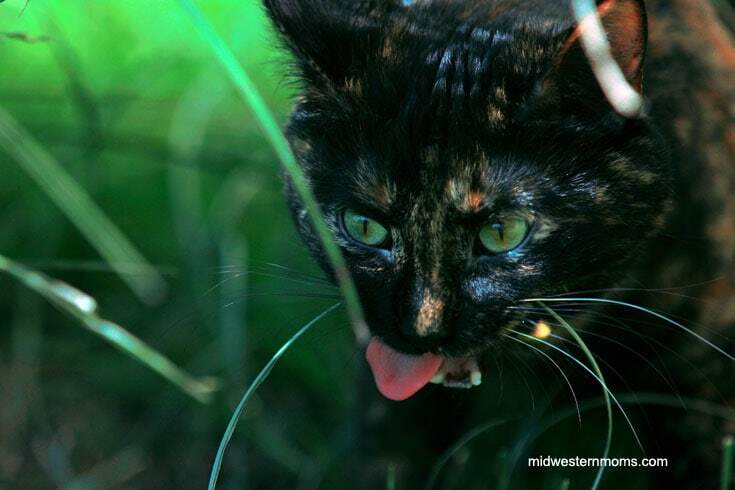 What great adventure has your cat been on? Do you have an adventure planned for National “Take Your Cat on an Adventure Day” on June 15th??? If you do, make sure to share a photo with the #MyGreatCat and Tag @ProPlanCat. You can find more details here. She’s a beauty! Love her coloring! Thanks for sharing!